In October 1997, Carey Gibson received a call informing her that her missing younger brother, Nicholas Barclay, had been discovered in Spain. She was bewildered and overjoyed. Thirteen year old Nicholas had disappeared three years earlier whilst walking back to his family’s San Antonio home, and this one call was the first they had heard from him. Once Nicholas returned, though, something seemed subtly off. His altered demeanour and appearance was explained as the result of years of sexual abuse he claimed to have suffered, so his quiet, withdrawn attitude could be due to that trauma. However, that was not the case. No, the reason why Nicholas seemed like a different person was that he was a different person. More specifically, he was a 23-year old Frenchman named Frédéric Bourdin, and Bart Layton’s spellbinding documentary details how, through physical transformation and careful manipulation of authority figures and people who knew Nicholas, Bourdin was able to convince the family that he was the missing child. But did he really convince them? One of the key questions at the heart of The Imposter is not how Bourdin was able to carry out his subterfuge – much of the story is described by Bourdin himself, who relates his methods in great detail through a series of crisp, compelling monologues – but why Nicholas Barclay’s family took him in. It’s a question asked by almost everyone, from the FBI investigator who dealt with Nicholas’ case to the members of the family themselves, but no one seems able to come up with a satisfying answer. Were they so grief-stricken that they were willing to overlook Bourdin’s pronounced French accent and brown eyes (Nicholas’ were blue) just so they could have Nicholas back, even if he wasn’t their Nicholas, or was there some ulterior motive behind their acceptance? Much like Tabloid, Errol Morris’ equally enthralling account of true events too bizarre to believe, Layton doesn’t impose one answer but instead offers multiple, sometimes contradictory interpretations from those involved. This allows for a wonderful tension between the family’s account of meeting “Nicholas” after so many years and Bourdin’s clinical breakdown of how his illusion was created and maintained. This contrast is further heightened by having the family members relate the events as they experienced them at the time - referring to Bourdin as Nicholas and describing his actions seemingly without the benefit of hindsight – which makes Bourdin seem even more cunning by comparison. Whilst this approach creates mesmerising suspense as the story builds to the point where Bourdin must be found out, it also has the unfortunate side-effect of making the family seem incredibly gullible, which in turn could be construed as tacitly supporting the idea that there was some other reason behind their decision to accept Bourdin. It may be that their grief made them act in such a stupid way, but Layton’s treatment throws too much doubt on that interpretation, and as such suggests a certain degree of intellectual dishonesty on his part. Or perhaps it only seems that way because the family seem so uncertain in comparison to the charisma of Bourdin. As the man at the centre of the story, Bourdin emerges as a very cool customer, someone able to judge people and calmly manipulate them to his advantage. As is only befitting of a conman, he has such a knack for storytelling that it becomes all too easy to see why people could be taken in by him. He’s like a compelling antihero who has stepped out of the pages of a crime novel; a Gallic Tom Ripley happily divulging every detail of his deception. Somewhat paradoxically, it’s easy to accept the theories of someone we know to be a liar because he’s so charming because at least he’s honest about his dishonesty. Layton plays up the idea of the story being like a fantastical noir by supplementing the talking heads with dramatized re-enactments, a la Morris' The Thin Blue Line. These beautifully composed sequences serve to give the film a real cinematic feel whilst simultaneously blurring the line between reality and fiction. Some of the story elements are so outlandish – including a bona fide private investigator whose Southern demeanour and obsession with ears as a method of identification make him seem like he’s wandered in from a Coen Brothers film – that these re-enactments further underline how unbelievable it all is. You have to keep repeating to yourself, “It’s all true.” Except the parts that are left unexplained because the real world has not provided any answers for them. 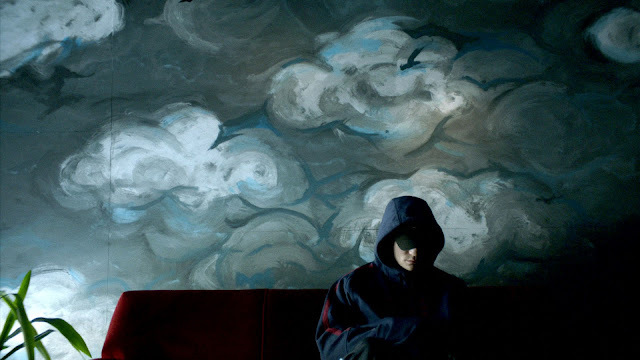 The Imposter enters so many shady and disturbing areas as it twists and turns towards its end that, like a great mystery, the questions it leaves unanswered are far more disconcerting than the ones it resolves. They linger and fester, and ultimately leave you asking who - if anyone - is right. It’s a testament to the way in which Layton builds suspense throughout that the film is able to have this effect. It’s a strange and beguiling journey into a web of grief, deception and intrigue that rivals any fictional mystery in its beautiful, crazy intricacy. One of the best films I have seen so far this year.